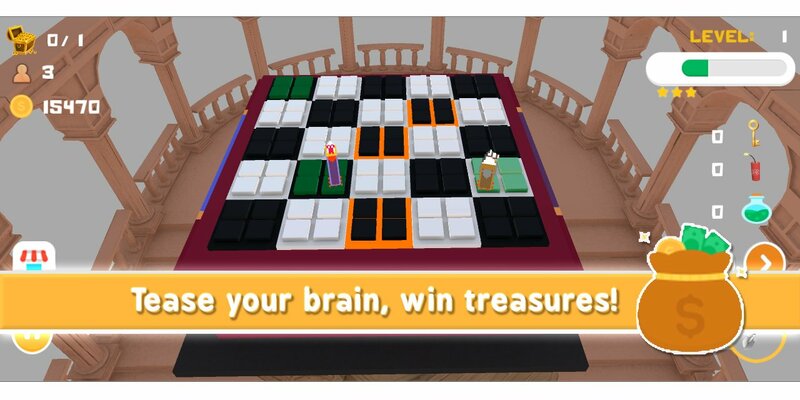 Get ready to get your grey cells cracking with this tough but fun chess treasure hunt game which will improve your logical ability and teach you a thing or two about chess. Xcavate is a treasure hunt game where you find treasures with clues from chess pieces on the chess board. Each chess piece can reach the treasure in one move, but can you figure out which one it is? Be smart, open as few tiles as possible and get to the treasure quick, before someone else snatches it! 3. Puzzle mode for endless fun, just setup the board as you want, and keep solving Xcavate boards. Minesweeper and chess lovers, you are in for a treat, download right away! Nice idea for a game and works quite well. It takes a while to understand the game and that might put some people off. The UI could do with a bit of work on the title screen. Otherwise nice game!